With the winter chills incoming, your room temperature could be the reason as to why you lie awake at night. With the tips highlighted below, we're hoping you'll sleep better, regardless of the temperature. Running a warm bath before you get to bed helps warm your body's core temperature up, ready for sleep, and relaxes your mind. You could try some scented candles or a nice bath bomb to increase the relaxed vibes, keeping your mind clear before you head to your bedroom. A cup of warm milk is usually the answer, though for those who aren't a fan, try a lightly flavoured hot chocolate (not too many scoops!) or a warm squash. Try to avoid anything caffeine related, though! Warm milk is often used as a natural remedy to help you warm up, whilst also relaxing you due to the calcium and tryptophan. Probably not the top of your priorities after a long day, but physical excersise in the evening increases your bodies core temperature and gets your blood pumping. Even a simple sroll for ten minutes will suffice. A nice set of wool or cotton pyjamas gets you all snuggly, you can go as thick as you like, though for those who aren't a fan but feel like they need to wear something, silk is a good way to go as it's lightweight and insulating. Pack up your summer duvet and bring out the thick ones! 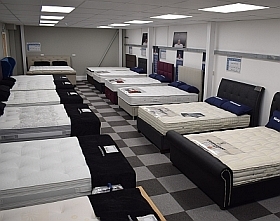 A tog rating identifies the duvets ability to trap warm air, the higher the numberthe warmer the mattress should get. On those extra cold nights an extra layer always helps. You may be lucky enough to have a relative who always knits you things, so asking for a winter blanket would save you another spend. Though can you really put a price on staying warm in bed? There's a wide variety of blankets you could go for, the fleecy ones prove popular, though. A true favourite, sticking one of these beauties in your bed whilst you are getting your pyjamas on lets your sheets warm up, then either cuddle it or stick it by your feet and you'll warm up in no time! Just be sure to check the condition of the cover which keeps the actual bottle from scalding you, as these need replacing every so often.